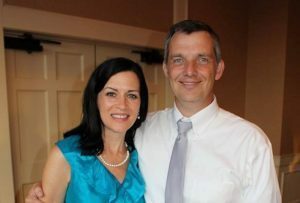 Click below to continue going to Craig Olive’s support page on the North American Mission Board website. Craig graduated from Auburn University with a BS in marketing. He has an M.Div from Columbia International University. Carleen has a BA in Bible teaching from Columbia International University. From 1994 to 2007 Craig and Carleen served with the International Mission Board in Mongolia and Azerbaijan and were involved with church planting. They have four children ages 13, 16, 17 and 20. They have been working in campus ministry with American college students and internationals since 2008 in Illinois and Florida via Baptist Collegiate Ministries and their local church. Pray that God we would seek God, know Him deeper and walk by faith in the power of the Holy Spirit. Pray that God would use us to be workers in His harvest and also through our work raise up more long term workers(among Americans and internationals) for His plentiful harvest. Pray that God would bless our marriage and parenting(that our kids would know, seek, follow God and be delivered from evil).